When can I take Pointe classes? This a question we hear a lot from interested dancers and their parents. The short answer is that most of our students start with Pre-Pointe classes at around age 12 and only after at least four years of classical ballet training. There is much more to this answer, however, and for a more detailed explanation of SGB's Pointe requirements, a brief history of Pointe and a listing of our yearly Pointe classes, please click on the link below (coming soon). Our Modern Workshops were so popular, we decided to add Modern classes to our dance curriculum and it has been an invaluable training addition! Modern dance refuses classical ballet's stress on feet as the primary catalyst for dance movement. It, instead, puts stress on the torso employing such elements as contact-release, floor work, fall and recovery, and improvisation. It is usually performed in bare feet, often with non-traditional costuming. Ballroom dance refers to a set of partner dances, which are enjoyed both socially and competitively around the world. 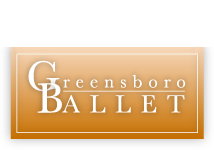 Instructor, Tim Saunders offers lessons in a variety of ballroom dance at SGB. Whether you are a beginner or an accomplished ballroom dancer, he can offer you an exciting opportunity to gain new skills that will help you shine the next time you go dancing. For further information and/or to set-up a private ballroom lesson please call Mr. Saunders directly at (336) 324-1924 or email him at ballroomSaunders@123.com.